The plant was using capacitance level probes supplied by the filler OEM, Hamba. 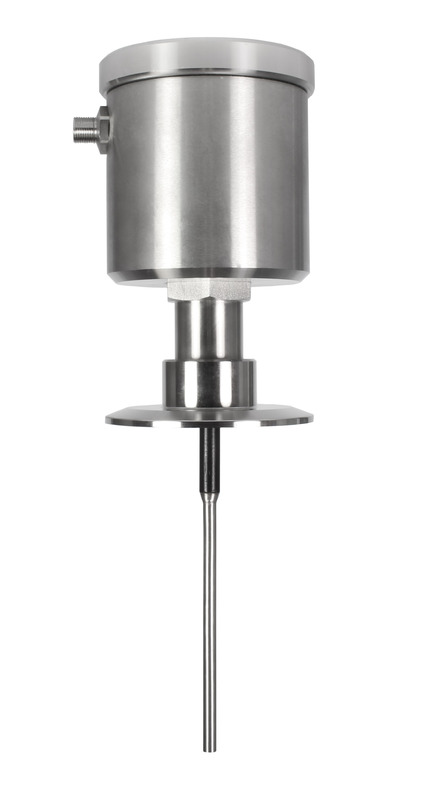 Because of the viscous nature of pudding, the level probes would remain covered with residual product even though the level of the tank had decreased. With continuous level capacitance technology, product coatings often provide false or inconsistent level readings. 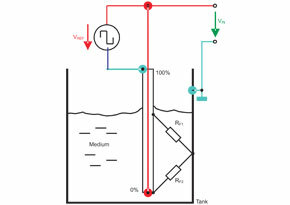 The capacitance probe would transmit a suspected level even though the true tank level was much lower. This resulted in pumps running dry and failing and the PLC based filling process providing erratic fills. We were asked if Anderson could provide a level solution that “coatings” would not negatively impact. We supplied a LN Potentiometric level sensor to the plant for their evaluation. The LN emits an AC signal to measure the potential between the probe and a reference ground, the inner wall of the vessel in most cases. This potential measurement is converted into a linear level output. The potential with a full tank versus a probe covered with just residual product is vastly different and hence provides consistent level information. For the Hamba fillers, this meant that the pudding coating the LN probe was ignored and a true consistent level measurement was achieved. Pumps no longer ran dry and the filling levels were more consistent. These successes lead to subsequent orders to retrofit all their fillers.